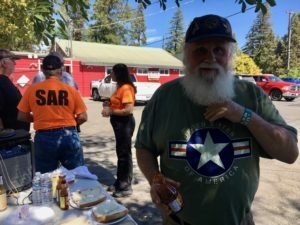 Ukiah, CA – September 5, 2018: Please join us Tuesday, September 11 from 11am to 2pm at the Forks Ranch Market, 3152 North State Street, at Lake Mendocino Drive in Ukiah, as we welcome and thank All First Responders and Military Personnel – firefighters, law enforcement officers, EMTs, veterans, and SAR volunteers in the wake of California’s largest wildfire. 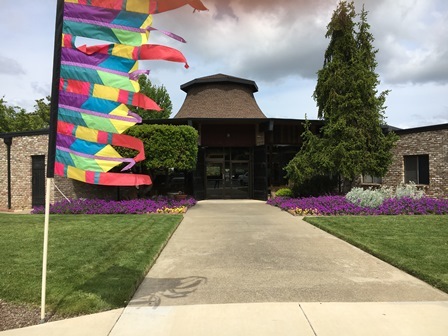 This entry was posted in News & Announcements, Public Events on September 5, 2018 by Blog Editor. 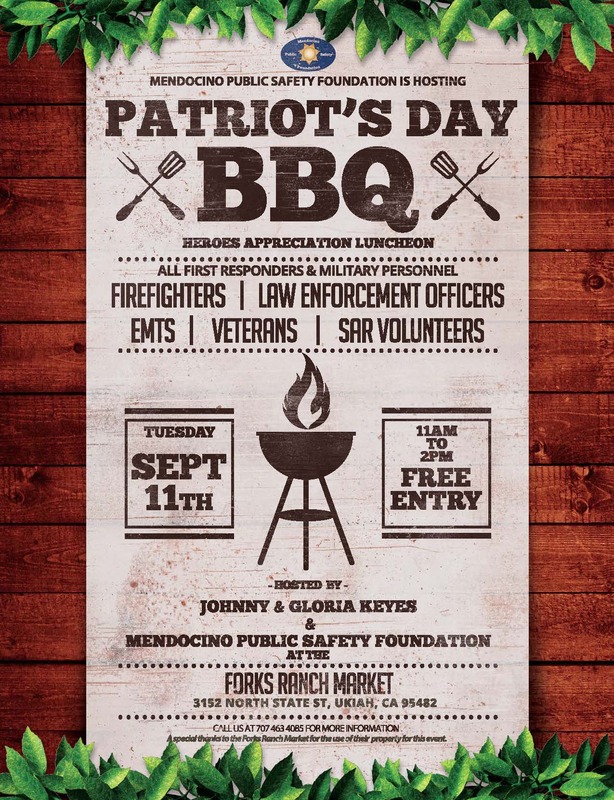 Ukiah, CA – For Patriots Day, Sheriff Allman and the Public Safety Foundation are planning a barbecue to appreciate all of the courageous responders to the Mendocino wildfires. A generous donor has enabled the Foundation to purchase an industrial, tow-behind gas grill for disaster response needs. We will help break it in with a little celebration together, so mark your calendars. 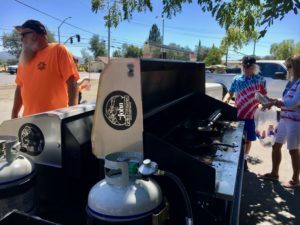 The event will take place outside the Ranch Market, at North State Street and Lake Mendocino Drive in Ukiah. More details will be posted. This entry was posted in News & Announcements, Public Events on August 24, 2018 by Blog Editor. Blog Editor’s note: This was re-posted February 20, 2017 to replace the post that was lost when our site was down for awhile. This entry was posted in News & Announcements, Public Events on April 24, 2016 by Blog Editor. 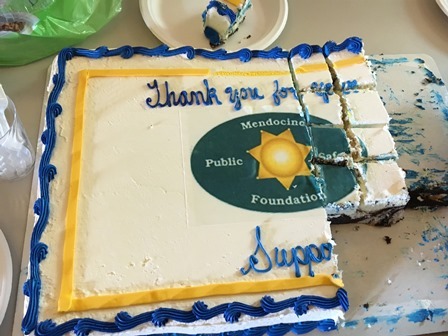 Ukiah, CA – March 5, 2016: Mendocino Public Safety Foundation’s annual meeting will be held Sunday, April 24, 1 to 3pm at Barra Event Center, 7051 North State Street in Redwood Valley. 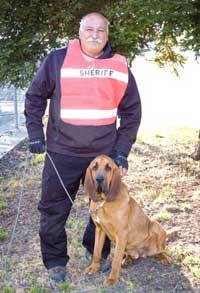 Please join us and Sheriff Tom Allman for lunch and a K-9 retirement ceremony. Hot dogs and hamburgers (vegetarian will be offered). Tickets are available at the door and a donation of $15 a person or $35 per family is requested. We look forward to seeing you at this fun event in a beautiful setting. Thanks for your support! This entry was posted in News & Announcements, Public Events on March 5, 2016 by Blog Editor. 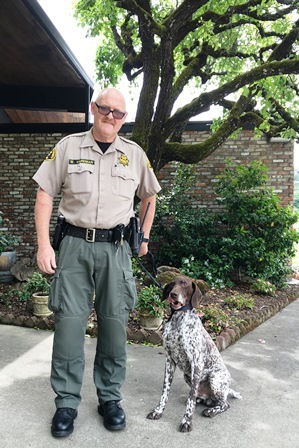 Fort Bragg, CA – Oct. 9, 2012: The hunt for fugitive Aaron Bassler last year was handicapped because no local police agency had a tracking dog that could follow a scent in the woods. But that deficiency has been cured, thanks to charitable donations by hundreds of Mendocino County citizens. 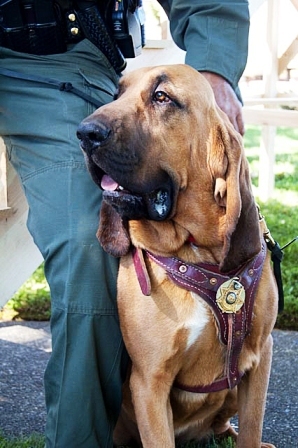 The sheriff’s new bloodhound “Red” will meet the public on Saturday, October 20 at 11 a.m. at Noyo Harbor barbeque area on Harbor Drive, Fort Bragg, in a Public Safety Appreciation Barbeque. Red has recently returned from training school and is ready to track fugitives, find lost persons, and do any other public safety duties that require an amazing sense of smell. 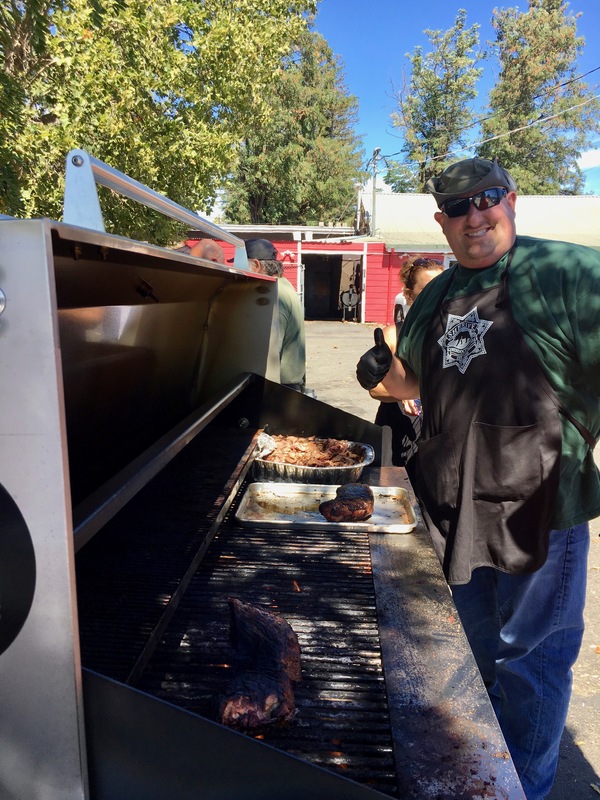 The October 20 barbecue is a benefit for the Mendocino Public Safety Foundation, a non-profit that was set up in 2011 to raise funds to help local law enforcement and to build stronger ties between peace officers and the public they serve. The Foundation’s first grant paid for Red. Another purchase by the Foundation will be greeting the public too. This is “Avatar,” a tactical robot that allows police to enter and search a crime scene without endangering personnel. Avatar can take video, talk and drive by remote control. The event will be hosted by Sheriff Tom Allman, who has worked closely with the Public Safety Foundation to identify needs of local law enforcement that citizens can help meet with their tax-deductible donations. 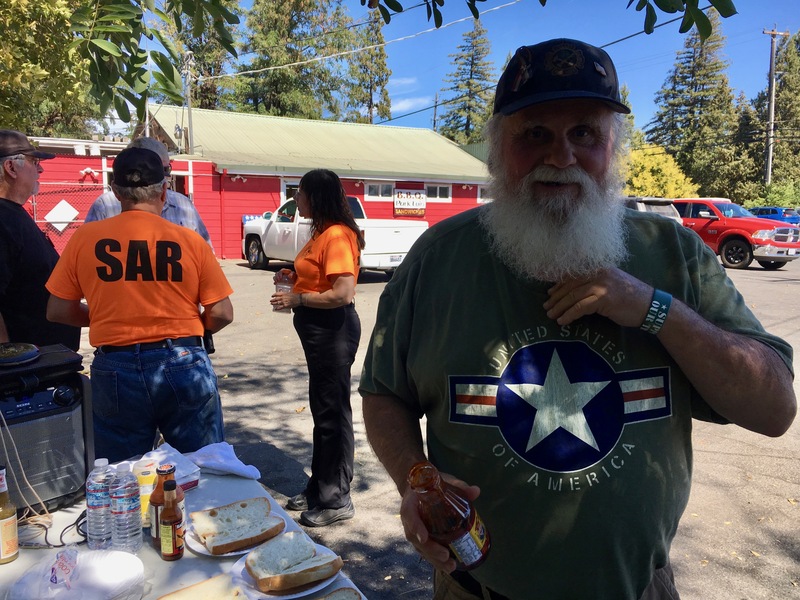 A full barbeque lunch will be prepared by Savings Bank of Mendocino County employees, with supplies donated by Harvest Market. Tickets are $10 per individual and $25 per family and are available at the door and at Harvest Market. 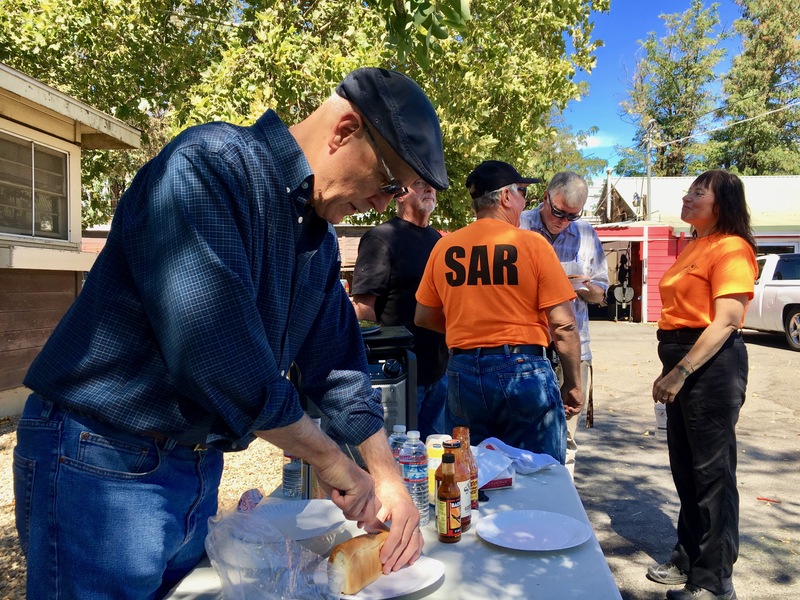 A previous Public Safety Appreciation Barbeque in Redwood Valley October 7 drew 150 people. 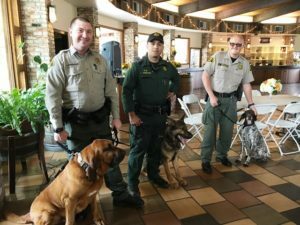 “This gathering will be fun and it will let folks show their appreciation for our law enforcement professionals,” said Ross Liberty, president of the Public Safety Foundation. It will also be part of the first annual meeting for the Foundation, which has more than 200 local member/donors. 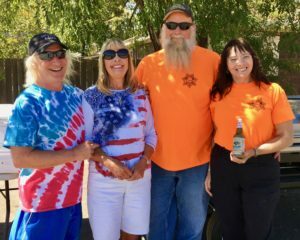 The Foundation is recognized as a 501(c)(3) charity by the federal government and it has a policy of using 100% of public donations for grants to the sheriff and local police departments, without any deduction for administrative expenses. 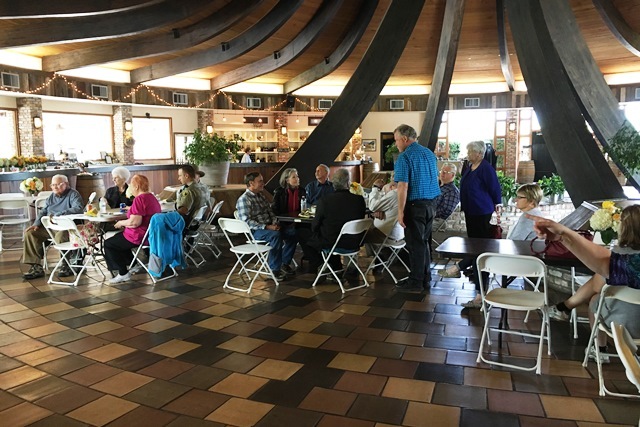 All administrative services are provided without charge by volunteers, and costs like mailing and events are paid separately by local supporters. 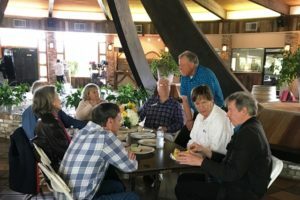 The Foundation’s chairman is former county supervisor Jim Eddie of Potter Valley. 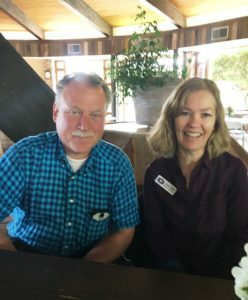 Looking to the future, the Foundation has set a goal of raising $20,000 to fund law enforcement in providing security for citizens’ volunteer cleanups of trash and chemicals left behind by illegal marijuana sites on public lands. The Foundation’s website is ProtectMendocino.org and can be reached at 467-3661. This entry was posted in News & Announcements, Public Events on October 9, 2012 by Blog Editor. 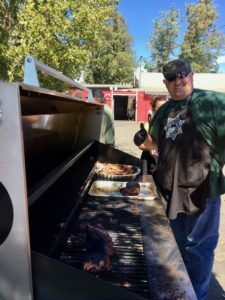 Fort Bragg, CA – Sept. 16, 2012: Some of the tools that help protect peace officers in their dangerous jobs will be on display at the first Public Safety Appreciation barbecue on Saturday, October 20 at 11 a.m. at the Noyo Harbor picnic area, rain or shine. 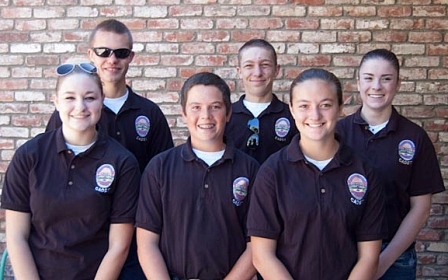 Sheriff Tom Allman will greet the public and a full barbecue lunch will be prepared by Ukiah police and fire cadets. 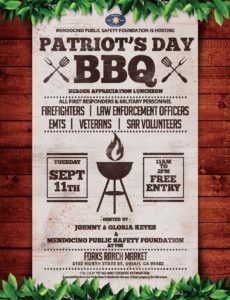 The event is a benefit for the Mendocino Public Safety Foundation, a non-profit that is raising funds to support local law enforcement. Tickets are $10 per individual and $25 per family and are available at Mendocino Books, Selzer Realty, Schat’s Courthouse Bakery, Harvest Market, and at the door. Featured entertainment will include a visit by “Avatar,” a tactical robot purchased recently for local police by the Public Safety Foundation. Volunteers from the audience will be invited to drive the robot, which allows police to enter and search crime scenes without endangering lives. “Red,” a bloodhound purchased this year with assistance of the Foundation, will greet the public. The bloodhound gives the sheriff the ability to track fugitives and lost persons, a need highlighted by events last year. The Public Safety Foundation will host another barbecue on October 7 at Barra Winery in Redwood Valley. The events are supported by generous donations of Savings Bank of Mendocino County and Harvest Market. The Foundation’s website is ProtectMendocino.org and the phone is 467-3661. This entry was posted in Public Events on September 19, 2012 by Blog Editor. 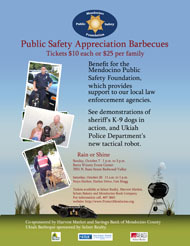 Ukiah, CA – Sept. 16, 2012: Some of the tools that help protect peace officers in their dangerous jobs will be on display at the first Public Safety Appreciation barbecue on Sunday, October 7 at 1 p.m. at the Barra Winery, 7051 N. State Street, Redwood Valley. It will also be the first annual meeting for the Foundation, which has more than 200 local donors. This event is supported by generous donations of Savings Bank of Mendocino County and Harvest Market. This entry was posted in Public Events and tagged barbecue, funding on September 18, 2012 by Blog Editor.